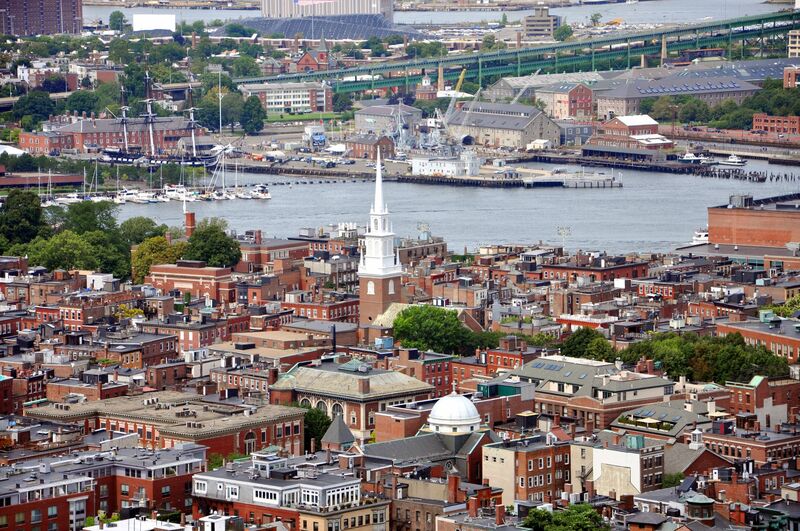 The North End is Boston's oldest residential community, settled in the 1630s and continuously inhabited since. It gets its name from being the northernmost area of the historic Shawmut Peninsula, the boundaries today being the northeast Fitzgerald Expressway, the Charles and Mystic River to the North, and Boston Harbor to the east. 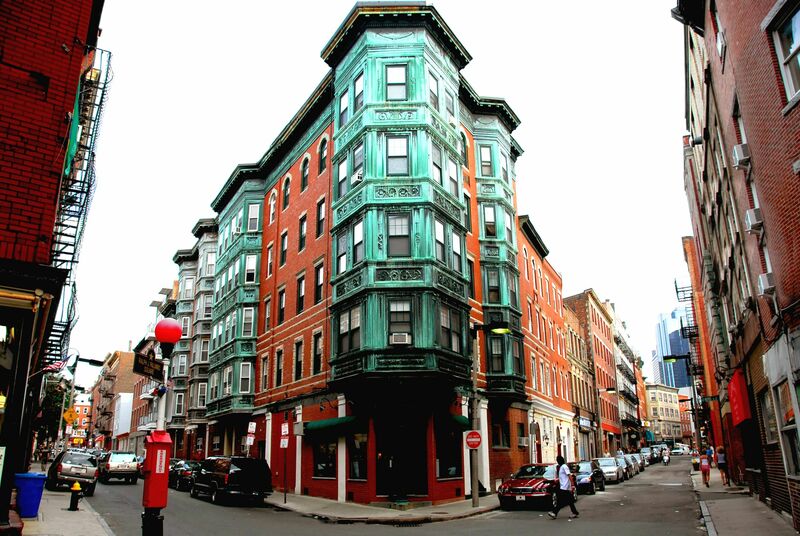 It is known for its fine Italian restaurants, the stretch of brick and brownstone homes in the narrow dense streets, and as of 2017 the district is a pending Boston Landmark. This small neighborhood is home to almost one hundred establishments and a variety of attractions. Twelve establishments are on the National Register of Historic Places: Copp's Hill Burying Ground, Bopp's Hill Terrace, Fulton-Commercial Streets District, Ozias Goodwin House, Mariners House, North Terminal Garage, Old North Church, Pierce-Hichborn House, Paul Revere House, Union Warf, and the Vermont Building. Every summer, the residents of the North End hold festivals to honor the patron saints of different regions of Italy, celebrating with marching bands, food, vendors, and live music. 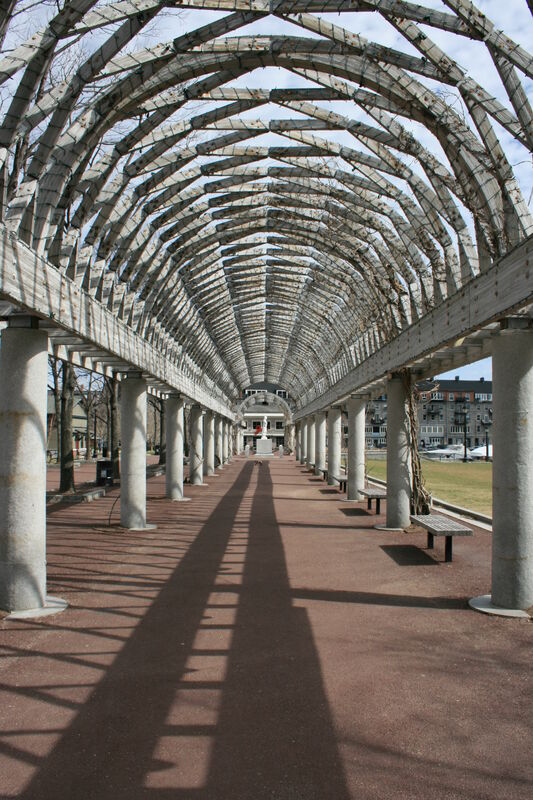 The North End is accessible via the MBTA's Orange and Green Lines at both Haymarket and North Station, and by the Blue Line at Aquarium Station, as well as via multiple bus routes and by ferry at Rowes Wharf.